You can find Anne's yarn here and she is here on Ravelry. I try to keep an open mind about inspiration - it can come from anywhere, but I do find a lot of my concept inspiration in things I've read. 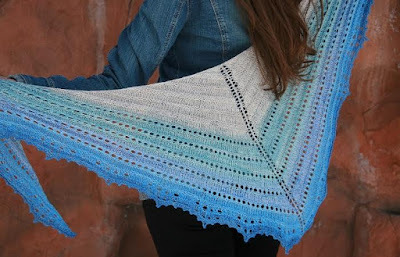 All of my Heroines Shawl club designs are from literary heroines, for instance. Sometimes inspiration can strike from a small thing - one phrase that strikes my fancy, or even a small detail I've seen on a historical or couture garment. Lace. 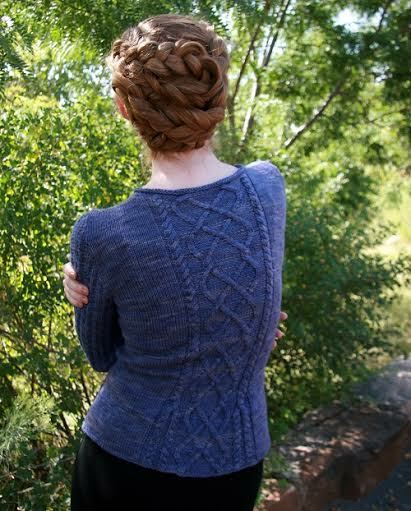 I love to knit it in all shapes and forms, so it is probably not a surprise that I like to use it in designs. 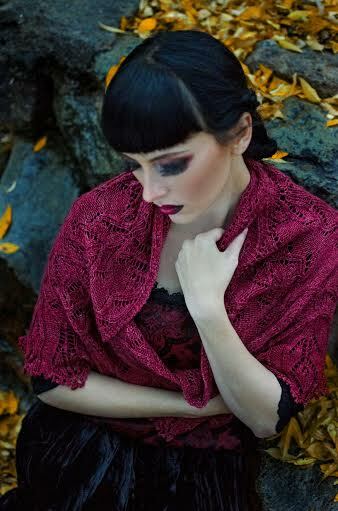 Even a small panel of lace can really make an otherwise fairly simple design shine. I mostly use the Craft Council guidelines for my work and add or subtract depending on what audience I'm designing for. 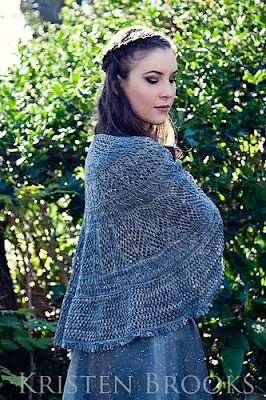 I do often browse through the recent releases or Hot Now list on Ravelry. In fact I try to use those resources to be sure I'm not recreating someone else's designs too closely if I have what I think is a great idea for a design. There are infinite ways to combine stitch patterns and shaping, so I think there's space in the design market for lots of different interpretations of the same theme or basic idea. At some point, all of us were beginning knitters and I think if a pattern is written well so a beginner can have success with it, that's a bonus for us in the industry - the more knitters out there, the better! Very few new knitters want to tackle a fair isle with steeks the first time out of the gate (although I know a few who have!). I personally don't tend to write beginner patterns and in fact, the ones I have written aren't big sellers for me. I have a lot of folks in my Ravelry group who really enjoy more challenging projects with different skill sets in them - and that's the pool I tend to write for. I do, however, think the days of a very "shorthand" style pattern are gone - for good or for bad. I have a small group (5-6) of folks who test knit for me. I think test knitting is really important once I've knit the sample myself. It helps catch any odd wording that might seem really clear to me, but doesn't translate once others are working from the text. On rare occasions (i.e. 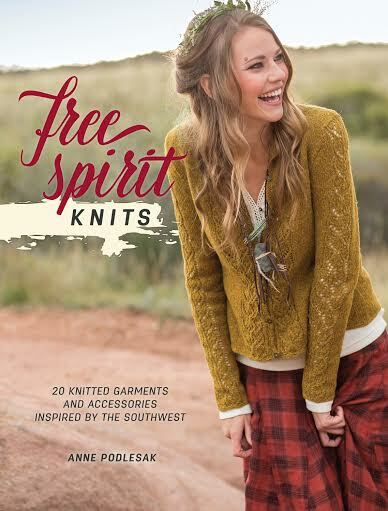 when I was working under the short deadline for my Interweave book, Free Spirit Knits), I do have a couple of very trusted folks who will knit a sample for me off my draft. 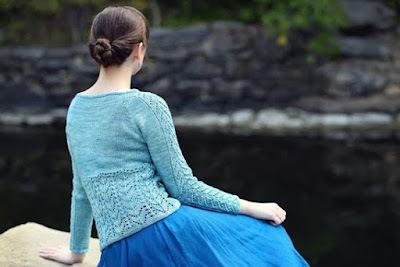 I tend not to go that route if I can help it - I like to knit the sample myself so I can make corrections or tweaks as I go and be sure the sample matches up with the written pattern. Not exactly. I had a 1-year, 2-year and 5-year plan for things I wanted to accomplish with my design work at the front end. It took some adjustments and brainstorming as I went to figure out how to accomplish those goals. Do you have a business model that you have emulated? Not a specific one, no. I'll admit I don't always do a good job with this. However, this year, I am working very hard on disengaging myself from work knitting, and trying to keep my weekends free. I think the job comes with a lot of long hours and times where you need to fit things into the schedule to keep up with deadlines, but if I've had a particularly intense couple of days, I do try to knock off early for a few afternoons and do something relaxing and/or fun. I try to take it as a positive improvement moment. Although of course, it's not necessarily easy to do that when it's something you've worked hard on and feel proud of. There will always be someone who doesn't like a design or your particular pattern-writing style, so unless it's truly an error that needs to be corrected, I try to keep a decent perspective on it. Learn as much as you can at the front end in terms of technique and skill set. Take classes, talk with other designers, take lots of notes, and be okay with struggling for a bit. There's a lot to learn! I'm excited about a collaborative project I'm working on with designer Kathleen Dames that will release this fall. I've got a long Excel spreadsheet of indie designs to release this year, and I'm pretty sure I've got another book (or two) percolating in the back of my brain that will eventually see the light of day.